During transatlantic Crossings, the liner Île-de-France became a mobile model for the Art Deco movement due to its interior design. Superseding Art Nouveau, this symmetry-based artistic movement became more widespread, leading to the construction of many prestigious buildings. – The Corcovado in Rio de Janeiro, Brazil, is one of the 7 wonders of the world as well as being its greatest Art Deco work, by French sculptor, Paul Landow. At 710 meters in height, it dominates the Rio skyline. 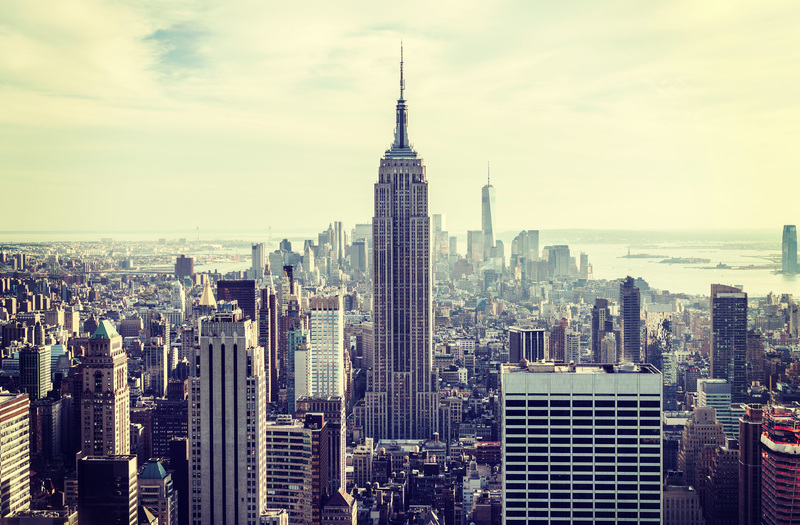 – The Empire State Building in the USA: mainly decorated in marble, it has symbolized New-York since 1930; the building’s straight lines and symmetry typifying the Art Deco movement. – The Bacardi Building in the heart of the Cuban Capital, Havana, designed by 3 architects (Rafael Fernández Ruenes, Esteban Rodríguez Castell and José Menéndez), used as offices after the Cuban revolution. – The Peace Hotel in Shanghai, China, a building that welcomes artists from all over the world to explore contemporary arts: photography, music, film, writing, dance, painting, etc. – Mitchell House in Melbourne, Australia, designed by architect Harry Norris, is a commercial building with its white lines that boast a 3D-effect. Off we go on a worldwide Art Deco adventure!